Most scholarships that are listed are primarily for seniors. However, if you are an underclassman, this is a great place to look at what is offered throughout the year, along with requirements and deadlines. Click on a link below to visit that edition of the Scholarship News. To apply for scholarships, stop by the counseling office. There is a clipboard with a list of all the current scholarships. Sign up to receive more information about those you're interested in applying for. You can also sign up in Naviance under the colleges tab (go to scholarships and money, then click on scholarship list). Most listings below have a live link you can access by clicking on the graphic to the left. New scholarship website: ﻿www.scholarshipsharing.org﻿.﻿﻿﻿﻿ From there, specific scholarships are listed, along with scholarship organizations and individual colleges. This is a GREAT untapped resource. Click on the graphic to visit the website to show listing of scholarships nationwide. There are MANY opportunities for students from various ethnic backgrounds. Please click on the graphic at the left. This is a 60 page document of scholarships. Please read the disclaimer page carefully. There are TONS of opportunities provided for scholarships. 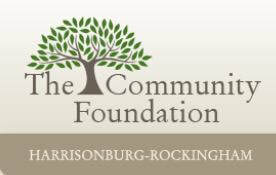 app.smarterselect.com/programs/56267-The-Community-Foundation-Of-Harrisonburg-And-Rockingham-CountyThe Community Foundation of Harrisonburg-Rockingham provides multiple scholarships for our students to apply for. Through People make charitable donations to meet local needs, and these funds are administered and invested by local professionals. A community foundation is an independent registered philanthropic institution serving a specific geographic area, typically a city or county, to address the needs of its local community. Click on the name of each scholarship below to learn more about it. Emory and Henry College Scholarship--$1,000 per year renewable--deadline EXTENDED UNTIL MAY 6. This scholarship will be awarded to a qualified incoming Emory & Henry College student. Additional criteria include: 2.5 min. GPA, good character, self-motivation, leadership, and community involvement. Requires letter of recommendation and counselor recommendation/transcript. Dennis R. and Patricia R. Early Scholarship--$4,000 renewable--deadline April 23--this scholarship is for students who are interested in studying in the fields of math or science or in becoming a K-12 math or science teacher. This scholarship is intended to support students who plan to attend BRCC, Bridgewater College, JMU, or EMU. Criteria include: financial need, academic performance, and character. Requires letter of recommendation and counselor recommendation/transcript. Early Ace Scholarship--$7,000 reneawble--deadline April 23--This scholarship was established to support graduating seniors from the cities of Harrisonburg, Staunton and Waynesboro, and the counties of Rockingham, Augusta and Shenandoah who plan to attend a 4 year Virginia college. This will be awarded to students who are planning to major in science, engineering, or business. This scholarship is renewable for 3 years as long as the student is in good standing academically. Preference will be given to first generation college students. The selection committee will consider: financial need, academic performance, character, and career path. Requires letter of recommendation and counselor recommendation/transcript. Samuel R. Bowman II Endowed Scholarship for BRCC--$2,000 renewable scholarship--deadline April 25. This scholarship is for Latino seniors who have been admitted to BRCC. Consideration will also be given to the student’s character, determination, self-motivation, leadership qualities, and community involvement. Minimum GPA of 2.7. Requires letter of recommendation, and counselor recommendation. Samuel R. Bowman II Endowed Scholarship for JMU--$4,000 renewable scholarship--deadline April 25. This scholarship is for Latino seniors who have been admitted to JMU. Consideration will also be given to the student’s character, determination, self-motivation, leadership qualities, and community involvement. Minimum GPA of 2.7. Apply on-line by April 25, 2019. Requies teacher recommendation and counselor recomendation and transcript. Arthur John Leavenworth--Eureka Lodge #195 Scholarship--two $500 awards--deadline April 29-- offers two scholarships to high school seniors--one from TAHS and one from FDHS. The number one criteria is financial need. Other criteria include academics, extra-curricular activities and/or community service, honors and achievements, and student goals. Requires counselor information and transcript. Harold and Faye Teer Scholarship--$3,400 renewable--deadline May 6-- This scholarship will provide funding for the full 2 or 4 year college career. Criteria include: Financial need, academic performance, character, determination, self-motivation, and leadership qualities. Preference will be given to applicants who will be the first in their immediate family to go to college. Requires essay and letter of recommendation, and counselor recommendation. ​SunTrust is pleased to offer the Suntrust - Off to College Scholarship sweepstakes where high school seniors can win a $500 scholarship toward college expenses. 30 winners will be chosen at random between September 10, 2018 and May 13, 2019. Students may register online at https://offtocollegesweepstakes.suntrust.com/once per drawing period. Each year the Gloria Wille Bell and Carlos R. Bell Scholarship Program is offered to seniors from Virginia with preference given to residents of the Gloucester area. The program offers scholarships of up to $80,000 over four years. The students must be pursuing degrees in engineering, mathematics, physics, computer science or another related scientific field at the University of Michigan. You must have been admitted to the university before submitting the scholarship application. Applications and essay must be submitted online at www.bellscholarship.org. Honorsgradu 2019 Design a Better Future Scholarship will be awarding five, $10,000 awards. Applicants in grades 9-12 will need to design and work on a community improvement project, using a checklist as a guide. Work must be submitted by March 23, 2019 for feedback. Depending on volume, we will get back to you within 2 weeks. Submit your design thinking project work by April 28, 2019. The Capital One Military Dependent Scholarship is designed to aid and honor a talented high school senior that is the dependent of an active duty service member or service member in the Reserves or National Guard. $5,000 for college tuition will be awarded to a student for their academic excellence, values, actions and leadership within their community. A Military dependent who works hard and truly cares about making a difference is encouraged to apply. Application deadline is April 30, 2019. The creators of the “Student Award Search Aid” website are offering the B.Davis Scholarship in the amount of $1,000 for 2019. Please visit www.studentawardsearch.com to apply. The deadline to apply is May 24, 2019. You may also view other scholarship opportunities. This website is free and was developed solely for the purpose of helping students locate and apply for scholarships. Horatio Alger Association Career and Technical Scholarship Program is offering up to $2,500 to students who have: completed high school, enrolled in a 2 year or less career or technical degree certificate program in the fall that will lead to employment, attend a not-for-profit post-secondary institution, demonstrate financial need (be Pell Grant eligible), be under the age of 30, and/or be a U.S. citizen. Deadline to apply online is June 15, 2019.